This week’s much-anticipated Chatham County Commissioners meeting saw Chatham residents gather to discuss the Confederate Monument in downtown Pittsboro. But before presentations began, commissioner Walter Petty announced his resignation after nine years on the board. He said his private life and business interests were taking up too much of his time for him to continue working with the board. Attendees at the meeting gave him a standing ovation as he finished his announcement. 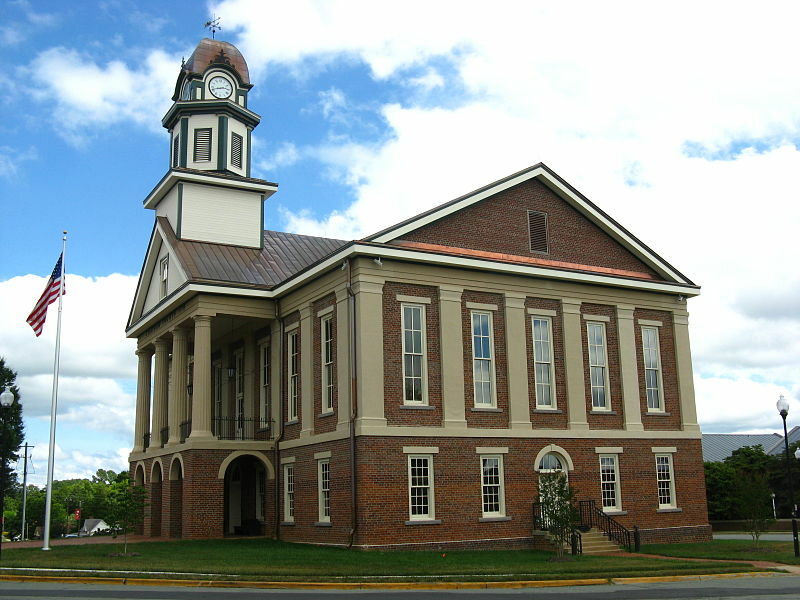 After that, it was time for the main event everyone had come to see: a presentation from Chatham For All, a group of Chatham residents arguing for the removal of the Confederate statue outside Pittsboro’s Historic Courthouse. Carl E. Thompson Sr. was one of those to speak from Chatham for All. In 1978, Thompson was the first black commissioner elected in Chatham since Reconstruction. Sometimes speaking over hecklers in the crowd, he said Monday night that the values of the Confederate monument did not reflect Chatham’s values, nor the values of the American Constitution. A lengthy public input session followed. James Dennis Brooks, a Civil War re-enactor, said that he thought the purpose of the monument was to remember soldiers of the war who lost their lives. Nikolai Mather, a Pittsboro residents and student at UNC Charlotte, disagreed. After the last public comment, the board voted 4-1 to ask county attorney Richard “Jep” Rose to explore the laws surrounding the monument and the possible options for the Chatham commissioners moving forward.